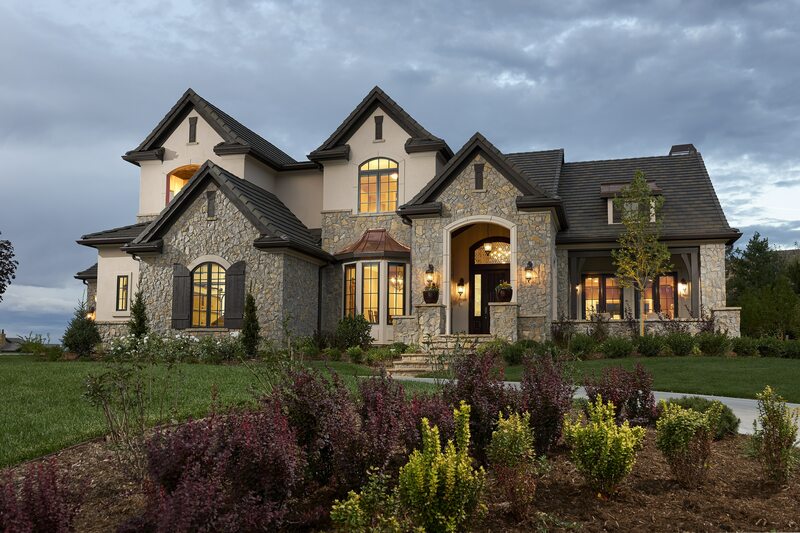 In every Thomas Sattler Home, you will find a family tradition of excellence – three generations of unwavering commitment to integrity, honesty, and quality homes of exceptional beauty. This is what has established us as one of metro Denver’s leading custom builders. Perfect Turn Key Living. Available Now. This Limited Edition Thomas Sattler Home at Dickenson Place is one of only six unique 2-story homes with a mid-century modern meets contemporary flair. The home at 4264 E Dickenson Place features 4 bedrooms and 4 1/2 baths. It houses a bonus loft and study, 2-car garage, finished basement, a master balcony, and the only open-tread “floating” staircase in the collection. Our Ravenna Golf Villas feature a Santa Barbara architectural influence. You’ll love the open concept, ranch-style floorplans, including multi-slide doors that bring inside living outside. Our intelligently designed European Estates home collection at Ravenna features luxurious finishes in our pre-priced and pre-designed homes. The home at 7912 Galileo Way features the Verona Plan. This elegant ranch-style home with 10′ ceilings has 4 bedrooms and 3 1/2 baths, multi-slide glass doors leading to a covered patio with the best scenic views in Ravena. New bonus upgrades added, including extra bedroom, full bar, brick fireplace, and landscaping. With nearly $90k in upgrades, this home is our best value. A solution for any need. We have stunning turn-key homes in our collections available in our urban community at Dickenson Place and the prestigious Ravenna in Littleton. Our portfolio of pre-designed and pre-priced luxury homes can be built anywhere and are ready for your personal touch. Our award-winning process ensures that we create your one of a kind custom home on time, on budget, with maximum value. It's hard to stay humble when you've done this well but we try. Best Architectural Design for Custom Home over 7,000 Ft. Hear Directly From Our Clients. We just want to express our deep gratitude for our home. We have lived in several homes and this is by far our favorite! From start to finish the entire staff at Sattler was a pleasure to work with. In the early 90's Sattler Homes built our first house in Denver. At that time, our experience with Tom was very good. Fast forward to 2017, we were retiring to Denver and wanted to build our dream home. The entire experience with Thomas Sattler Homes has been great! We would highly recommend taking the opportunity to talk to them about building your dream home as well. From the start, we were impressed with Tom and his entire team. Each person on the team has been helping us design our dream home. While building a custom home can be challenging, their professionalism, attention for detail, and caring is making this an enjoyable experience. I highly recommend Tom Sattler and his entire team! I built one home with Thomas Sattler Homes, and then three years later, I built another one with them. Quality was superb, communication clear, all concerns handled promptly…and all financial and contractural matters were taken care of professionally and with integrity. Tom builds a quality home and I will recommend him without reservation. From the first time we walked into the office, we knew it was something special. Their team of experts always made us feel comfortable and well informed. You all paid attention to every detail – no leaf was left unturned! We feel a sense of pride when we tell people that Thomas Sattler built our home. After 16 wonderful years of living in a home that Thomas Sattler Homes built for us, we don’t anticipate any problems in selling our home because of the outstanding quality of the workmanship. I have often mentioned that we were especially pleased with the contractor that Thomas Sattler Homes employed. Our only advice is that you keep doing what you are doing! Want to check out one of our many turn-key homes available now? Or have questions about building a custom home? We’ve got you covered. Book an appointment today. We look forward to hearing from you.